Insect control is becoming an important issue for many UK households as we are currently facing a growth in moth infestations. Traditionally, moths would have been found in old density housing; typically found in areas like London. However here at Acana we hear from people that have found moth infestations in new builds, and countryside properties. Moths are the only pest that the UK suffers from all year round. Because moths derive their nourishment from clothing, they can be seen to be a serious pest. Moths particularly like wool, but they also like natural fibres, as well as stored foods such as grains. Generally, moths are drawn to light; but the moths that infest closets, clothes and furniture actually prefer dark, undisturbed areas. Common Clothes moths (Tineola bisselliella) Case Bearing Moths (otherwise known as Carpet Moths) (Tinea pellionella) tend to be less active in brightly lit environments and prefer to stay close to their food sources, whichcan make them difficult to detect. Carpet moths tend to be low flying and whitish in colour. 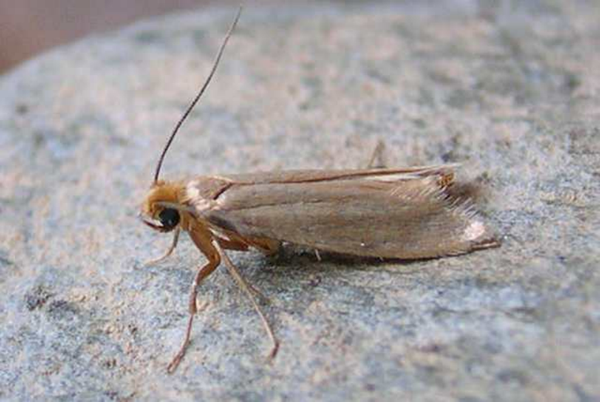 Adult moths do not have mouths so they are not responsible for damage to clothes or fabrics. The larvae and eggs are the ones responsible for holes found in clothing items or even damage that has been done to furniture. Don't be distracted by the sight of a moth flying somewhere in your home as they are not the cause of the problem. The only way to deal with the problems of eggs and larvae is by using chemical action. This is the only way to kill the eggs and larvae to ensure no more damage to items in your home. At Acana, we have responded to this demand by creating a System of Care for Complete Home protection against Moths. Our passion for protecting homes has enabled our moth killing products to become market leaders in just three years. The active ingredient in all our chemical moth killers is TRANSFLUTHRIN – a fast-acting pyrethroid insecticide with low persistency. All Acana products have been specially formulated using the latest technology to provide long-lasting protection from moths, their eggs & larvae. Additionally, the lavender perfume with natural oils freshens your home continuously. Acana developed a brand of highly effective moth killer treatments enabling uso become market leaders in the moth killing industry in just three years. All ACANA killer treatment products have proven effectiveness (independent laboratory tests) and utilise one of the most modern and effective active ingredients TRANSFLUTHRIN. The ordered use of the ACANA System of Care will provide effective and ongoing protection from the damaging and costly effects of a moth infestation. All Acana killer treatments come with a with unique Visual End of Life Indicator – so you know when to replace our products.